Understanding audiences: what are concert-goers doing when they listen? Stephanie Pitts is Professor in Music at the University of Sheffield, with research interests in musical participation, arts audiences, and lifelong learning. She is the author of Valuing Musical Participation (Ashgate, 2005), Chances and Choices: Exploring the Impact of Music Education (OUP, 2012), Music and Mind in Everyday Life (Clarke, Dibben & Pitts, OUP, 2010) and a co-edited volume on audience experience, Coughing and Clapping (Burland & Pitts, Ashgate, 2014). She directs the Sheffield Performer and Audience Research Centre and is currently leading a 30-month Arts and Humanities Research Council (AHRC) project on understanding audiences for the contemporary arts, working with arts sector partners across four UK cities. This provocation summarises a keynote given at the Listening Experience Database Project Conference 2018, and draws together some key themes from my previously published work with audiences. In particular, it looks at ways in to classical music, considering both the routes taken by established audience members and the experiences of newcomers. The challenges of empirical research with audience members are addressed, and some qualitative methods including ‘write-draw’ and audience exchange presented as ways to gain in-depth understanding of live listening experience. The chapter poses questions for ongoing research with audiences, including some fresh perspectives from audiences for the contemporary arts. Even for regular attenders, the mystery of what everyone else is doing in their heads as they sit silently through a performance remains. Listening – at least in the classical concert hall – is an invisible, internal act: respondents in a study of young people’s first experiences of a chamber music concert commented on how nobody looked like they were enjoying themselves. 2 Newcomers more familiar with the exuberant listening behaviour of pop festivals and arena gigs will find no help in an online search for ‘audiences’: photo stock libraries yield images of fields full of people waving their hands above their heads, some of them holding mobile phones to record the moment, and all of them smiling, moving, singing along. 3 Knowledge of how to become a classical music audience member is inaccessible other than through experience, making that first encounter with a live classical music performance all the more important. Small’s work also highlights the need to gather more systematic, up to date ethnographic evidence of what it means to be part of an audience. Investigating the live listening experience without disrupting it is a challenge for empirical researchers, who must balance the desirability of ‘real time’ responses to listening experiences with the easier access to reflective, post-concert discussions. The views of audience members at the heart of an established listening community must also be balanced with those who are new to live music listening, in order that the full range of audience expectations and engagement can be understood. As part of the Arts and Humanities Research Council’s (AHRC) Cultural Value project in 2013–14, I worked with research assistant Katy Robinson to investigate routes into arts engagement in Sheffield. 10 We were interested in how existing and potential audience members made their choices between the various venues, events and opportunities in the city, weighing up the potential uses of their available free time, budget and cultural capacity. This was in itself a challenge to the often implicit assumption that the audience for any specific venue exists in a vacuum, making their decisions in relation to that programme and place, without recognition of the multiple other options available on that date – including, perhaps most compellingly, not going out at all. A survey carried out with the audiences at a number of major Sheffield venues gave us an overview of audience decision making in the city, highlighting the variety of combinations of events that people engaged with (often quite eclectic, for instance, ‘opera/Shakespeare plays/heavy rock concerts’), and the different priorities for a ‘good night out’ expressed by audiences for different art forms. 11 Classical music listeners in the survey had high expectations of the events they chose to attend, seeking quality and high emotion from a performance, and having strong opinions on programming. Some listeners wanted more familiar music that would guarantee enjoyment, others sought more challenging and diverse repertoire, while one resolved this with a direct appeal to ‘have more of the music I like’. 12 Respondents noted the lack of diversity and youth amongst their fellow audience members, but were otherwise less likely than other arts consumers to comment on the social aspects of attendance, focusing more on the programme and its performance. Pop music listeners, by contrast, talked a lot about atmosphere and ‘vibe’ and had more in common with stand-up comedy audiences in their desire to see familiar performers doing something unexpected, experienced as being unique to that event. 13 Highly valued across all live experience was the commitment of the performers, the sense of being close to them, and the distinct experience of live engagement in relation to more frequent consumption of recorded media. The Cultural Value study also incorporated a component that we called ‘audience exchange’, 14 where regular attenders at one art form were taken to something they had never or rarely experienced before. They were invited to bring a friend, to replicate the typical experience of attending live arts and to facilitate participation in a discussion that took place immediately after the performance. This audience exchange was revealing of the preconceptions that new audience members bring to live music events, not just in their expectations of audience behaviour and conventions, but also in the other arts expertise that they attempt to apply to their new experience. In each of our audience exchange situations – a chamber music concert, a jazz gig and an opera performance – respondents made reference to feeling underprepared or not sufficiently knowledgeable, so assuming that more established audience members were bringing not just experience but expertise to their listening. Newcomers to a concert audience have limited evidence on which to make these assumptions, drawing mainly on the silent listening and enthusiastic applause of that established audience. Navigating a new art form with no sense of what is collectively agreed to be normal and valuable in that setting, it is no wonder that this silent reverence can feel alien or unjustified. To capture the first impressions of the young people attending a concert, and provide a stimulus to post-performance discussions, the ‘write-draw’ method was used. Respondents were given a small piece of white paper and asked to draw their response to the concert on one side, and write about it on the other. 23 The simplicity of this method is also its strength, in that it avoids priming respondents with directed questions, and makes clear that the researcher is seeking a personal response rather than any preconceived right answers. The method is drawn from research in health studies with children, where abstract responses to pain and illness are as similarly hidden and personal as listening, but previous academic applications had not included music or the arts. 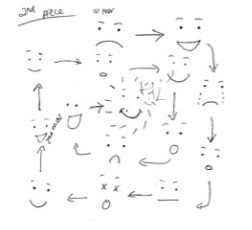 24 Analysing such free-form data is of course challenging, but achieved in this case by categorising drawings (for instance, including/not including notation, people, patterns, nature), and triangulating the drawn and written responses with the group interviews that followed the performance. The responses were illustrative of the emotional journeys undertaken by the new listeners: one response was a network of emoji-style surprised, non-committal and puzzled faces, finishing with a broad smile in the middle. Respondents brought expectations from popular music in relation to authenticity too, and in some cases expressed confusion over whether it was the performers or the composers who were being given the audience’s attention. One young person applied the notion of a cover band to understand this relationship, stating that ‘No one is going to play Beethoven like Beethoven can’. 29 While it is easy to deride a statement like that, or to bemoan the absence of classical music from the school curriculum, a more constructive response is to consider what it demonstrates about the musical expertise these listeners do have, and how that could form a bridge to fuller engagement as an audience member. Some of the respondents were clear in their assertion that this music was ‘not my type of music and not for me’, 30 and it was apparent that in these cases their first experience of concert-going had entrenched existing views of classical music audiences as stuffy and unapproachable. 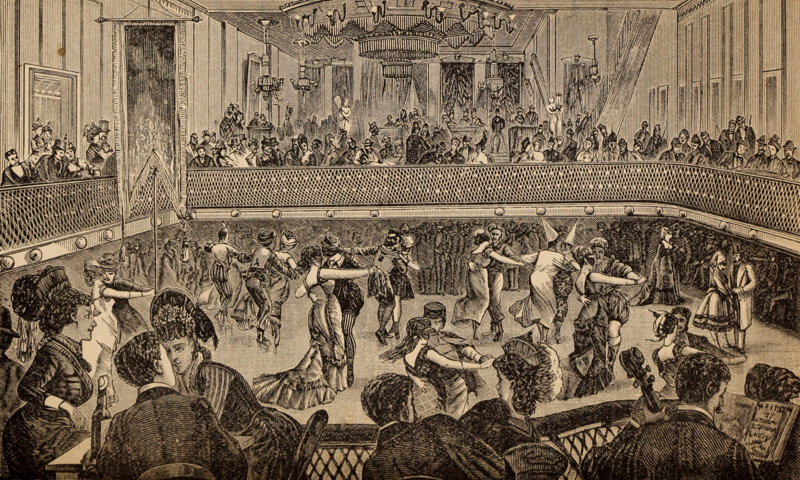 Others were tolerant of different musical tastes, stating that they knew some other people liked it, or expressing surprise at how much they had been drawn into the experience themselves. The young people in this study were put off in some cases by the sense that there was a ‘proper’ way to enjoy classical music, to which their musical experience and education had not previously given them access. This raises again the marketing challenge of how to communicate with people who are not already within an audience community – and a much greater challenge around whether it is concert life that needs to adapt and change to allow for more than one way to engage with classical music. The final case study of these three highlights another ‘alternative’ route into audience engagement with live music, exposing another risk in assuming that all audience experiences are similar and require the same kinds of marketing and support. Contemporary music – and contemporary arts more widely – is often presented in marketing and programme notes as challenging historical conventions, pushing at boundaries, or overthrowing established norms. This perspective is likely to be that of the composer, performers, and indeed of any music graduate who acquired their knowledge of music history at ‘the beginning’ (as defined differently according to the locally agreed curriculum). However, our research with audiences for contemporary arts has found many instances of people crossing art forms and arriving ‘straight in’ at contemporary music without that historical context. Contemporary arts audiences perhaps offer a model for helping newcomers to classical music to explore their initial experiences in a way that is non-judgemental and does not presume a ‘proper’ way to respond. The valued aspect of the audience exchange conversations in the UACA project was the sense that all respondents were equally unfamiliar with the work, and could benefit from hearing other people’s opinions and reflecting on the connections with their wider cultural experiences. This is arguably what we all do when we hear a live performance: the layers of whether it is socially and culturally acceptable not to like or know what is heard are added by the context, and might usefully be removed by more careful management of newcomers’ experiences. This chapter has aimed to demonstrate how qualitative research methods offer at least a partial solution to exploring the expectations and experiences of live classical music audiences, particularly where talk-based and visual methods are deployed in ways that aim to understand audience experiences without disrupting them. The three case studies have illustrated the diverse routes into live music engagement that are potentially replacing the traditional concert-going habit formation of school and parental influences. Regular arts attenders’ exploration of new art forms, young people’s expertise as pop music fans, and contemporary arts audiences’ willingness to engage with the new and challenging all share an evaluative component that can be stifled by concert settings that seem to promote only one ‘proper’ way to be an audience member. Arts organisations are, in many cases, embracing the challenge of matching their cultural offerings with their audiences, recognising that audience members do not always want to be coerced into trying something that they do not expect to enjoy. Starting with arts attenders’ existing expectations and needs is one possible way in to being more flexible in the way that classical music is written about, researched and promoted. The respondents in each of the case studies showed themselves to be reflexive, tolerant and willing to be challenged, suggesting that there is much to be learned from research with non-attenders and newcomers, as well as from comparisons between their experiences and those of established concert-goers. The answer to ‘what are concert-goers doing when they listen?’ is perhaps no closer as a result of this provocation, but it is fairly certain not to be what is going on in the head of an academic music researcher. The need for multiple voices in the debate is therefore compelling, and calls for some sensitive, sustained research with a diversity of listeners, in order that concerts remain (or become) welcoming places for the next generation of audiences. Burland, Karen, and Pitts, Stephanie E. (eds). Coughing and Clapping: Investigating Audience Experience. Farnham: Ashgate, 2014. Crossick, Geoffrey and Kaszynska, Patriczia. ‘Under construction: Towards a framework for cultural value’. Cultural Trends, 23 (2), 2014, pp. 120–131. Hesmondhalgh, David. Why Music Matters. Malden, MA: Wiley/Blackwell, 2013. Radbourne, Jennifer, Glow, Hilary and Johanson, Katya (eds). The Audience Experience: A Critical Analysis of Audiences in the Performing Arts. Sydney: Intellect, 2013. Reason, Matthew and Lindelof, Anja Mølle (eds). Experiencing Liveness in Contemporary Performance: Interdisciplinary Perspectives. Abingdon: Routledge, 2017. I gratefully acknowledge my inspiring collaborators in the Sheffield Performer and Audience Research Centre (SPARC), past and present, particularly the researchers involved in the projects represented here: Katy Robinson, Dr Lucy Dearn, Dr Jonathan Gross and Dr Sarah Price. I would like to dedicate the article to Professor Christopher Spencer (1943–2018), one of the founder members of SPARC, who played a large part in setting me and others on the path of researching with audiences.